6 Ideas To Design Your Way Into A More Unique & Memorable Fall Holiday Spirit!! It’s the Fall holiday season and if you aren’t feeling it yet, get on it! It’s such a great time to stretch your imagination, celebrate the year, see friends and make magic happen… Plus, the food and the leaves and the chill in the air… ! Here are 6 ways to design your way into a more unique holiday spirit this Fall. 1. Be clever. 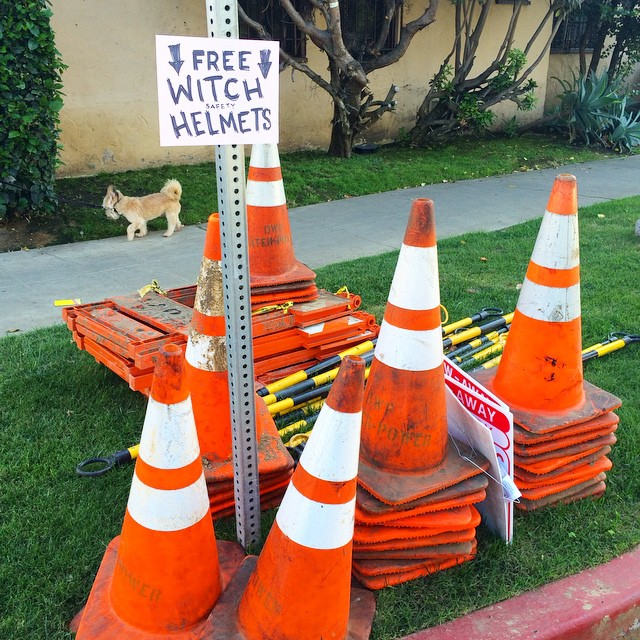 I’ve not seen something as witty as this sign on the street in quite a while. Clever Halloween costumes are a fantastic way to start. Clever decorations. Clever repurposing. Be clever!!! 3. Pumpkin in a fresh way! 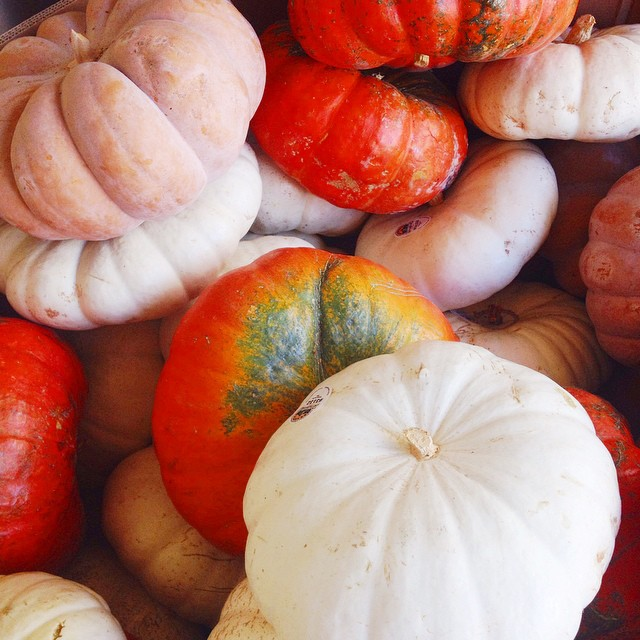 Of course, you can always carve a traditional pumpkin, but what about a naturally white one, or a spotted one, or a pinkish pumpkin… or a melange of all of them?! 4. Pick some colors to spotlight this Fall. 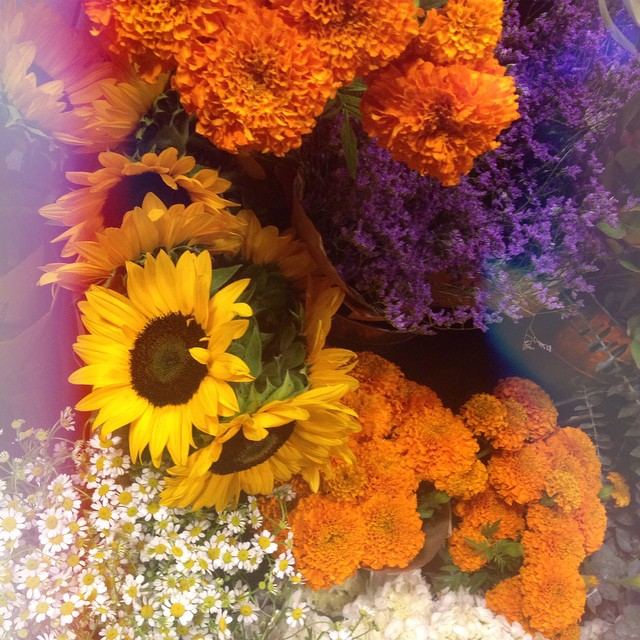 I happen to be obsessed with this mix of violet, deep orange and yellow. That’s such great inspiration for clothes (just got a violet winter vest gifted from Lole, coming soon, and bought some violet running shoes to match!) and also for your Fall tablecloth, decorations and even plates and cups to be more festive. My orange mug from CB2 feels very on-point during the Holiday season! 5. 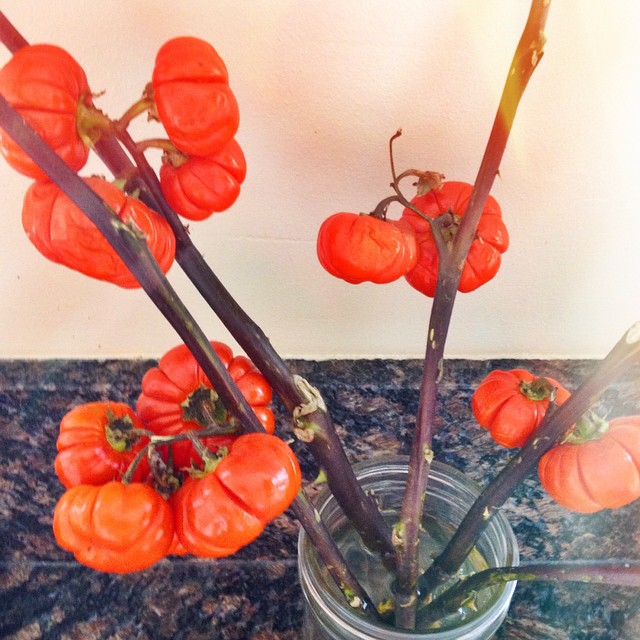 Embrace more seasonal & natural beauty. 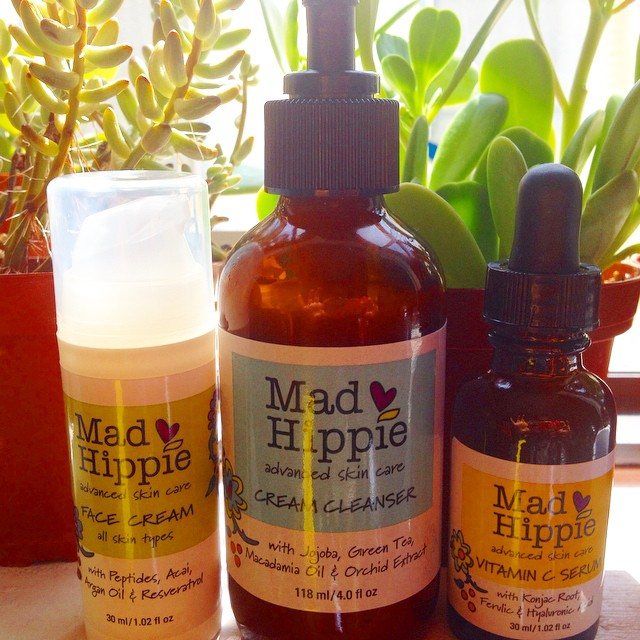 I’m blown away by the Mad Hippie line (*thank you Mad Hippie for letting me try it!) just in time for the weather change. Their creamy cleanser and wildly incredible vitamin C serum all so advanced and yet natural that I feel excited every morning to connect to the Earth through my skincare! Anything from a mask of plain raw honey on your face for 10 minutes (this is sooooo rejuvenating) to a homemade pumpkin body scrub or chocolate lotion will have you feeling the earthy greatness of the season! 6. Dessert for breakfast! The best way I’ve found to look forward to the colder mornings every day is to have a breakfast waiting that is nothing short of decadent! 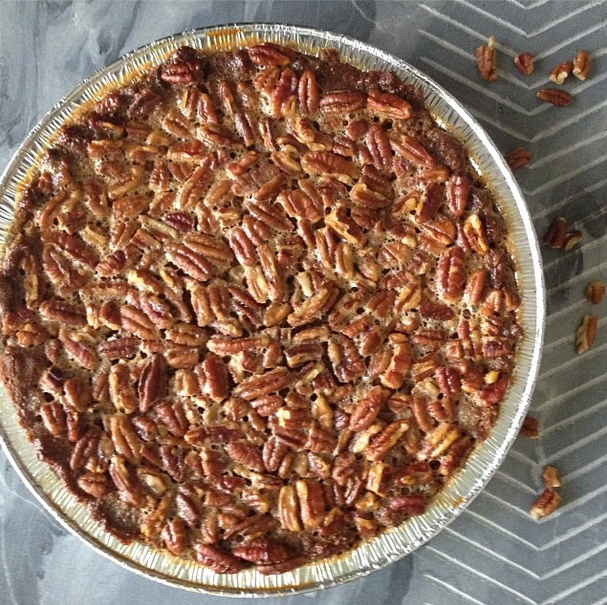 This honey pecan pie is my ultimate favorite Paleo & SCD friendly “breakfast” of great luxury. I also have squash brownies, pumpkin bread, cashew ice cream and apple pie smoothies in the Fall that are decadently nourishing! Energy Boosters To Rejeuvenate Crazy, Non-Stop Lives! Next post: Drinking Rainbow Colors Of Juice To Change Your Life!